I'm going to try and make the TFA Leia for Comic-Con at the end of October. 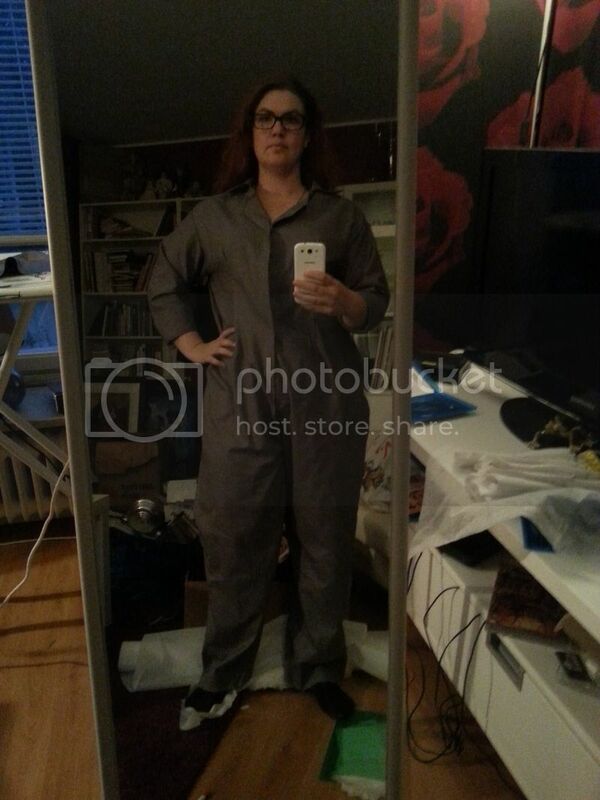 Now since there are very few reference pictures of it available I'm also seeing this as a test run, since I've never done a jumpsuit before, and then I could use it to remake a better and more accurate version. This is what I'm going for. To me it seems to be a fairly thin and soft material, looking at the ways it wrinkles on the leg. I have ordered a medium weight grey cotton for it. 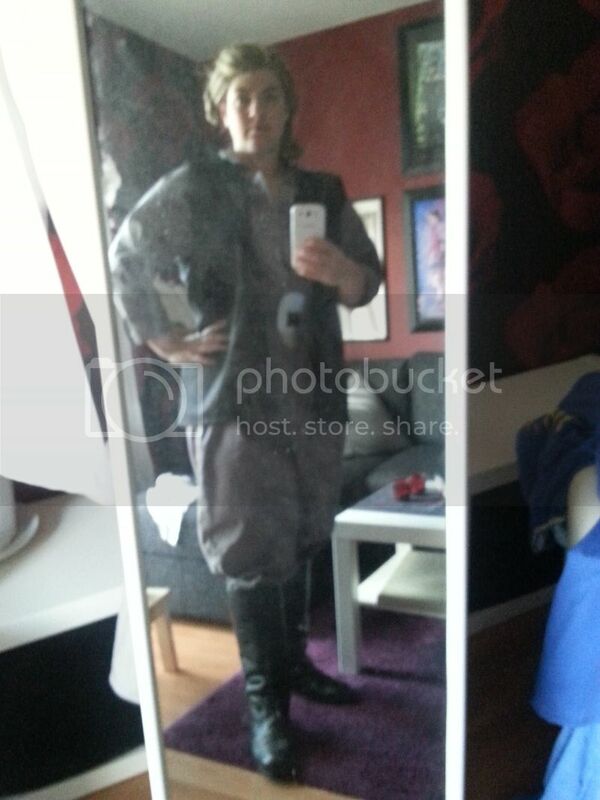 There are similarities to other SW costumes, the collar looks to be the same style as the Endor shirt, and there are no visible fastenings at the front. I think that the sleeves are full length, but folded up. The cuffs looks to be quite angled, just like the collar. 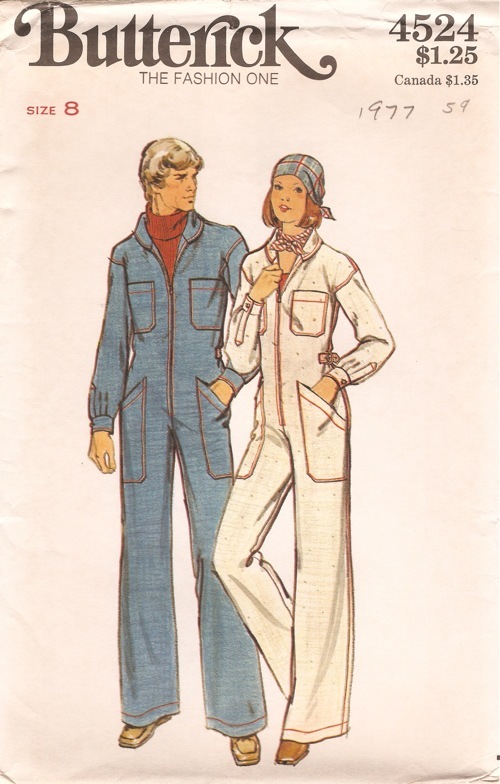 I have picked up this vintage sewing pattern very cheap. It needs a lot of modifications (different collar, different sleeves/cuffs, tapering of the legs) but it was cheap and it's a starting Point. At first sight the vest looks similar to the RFT vest, but I don't think so anymore. I can't see any pockets on the high res side photo. I also don't see a shoulder seam. What I do see though is two layers of fabric above the shoulder. My theory is that the front of the vest, which looks very smooth, is a second outer layer, possibly padded or made to look like a bulletproof vest. There is also a small stand up collar to the vest, that the jumpsuit collar is resting against. For the vest I have ordered a heavier twill in black. Black belt with a large, oval belt buckle in silver that the belt passes through. Only thing that you can see is that the boots are high and black. I'm going for a simple unadorned black boot with a very low heel. 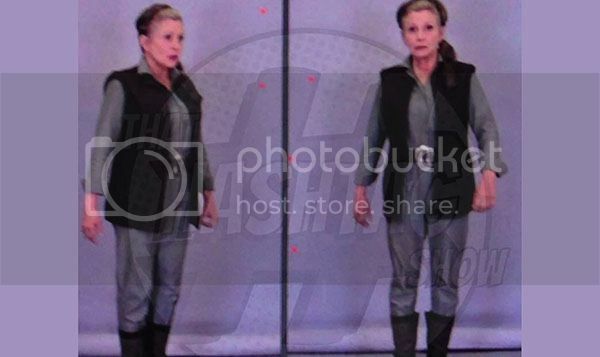 Leia's hair is a lot lighter than in the OT. It's pulled back from the face, then there is a roll going from one ear to the other, before being braided into a braid on one side. You can also see a small bun at the back of the hair. 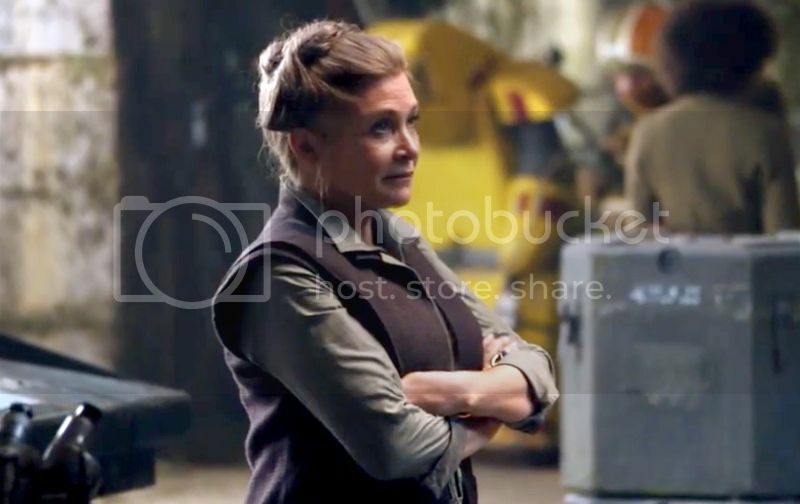 There is a backview of her head in the trailer, but I haven't got a screen shot of that. 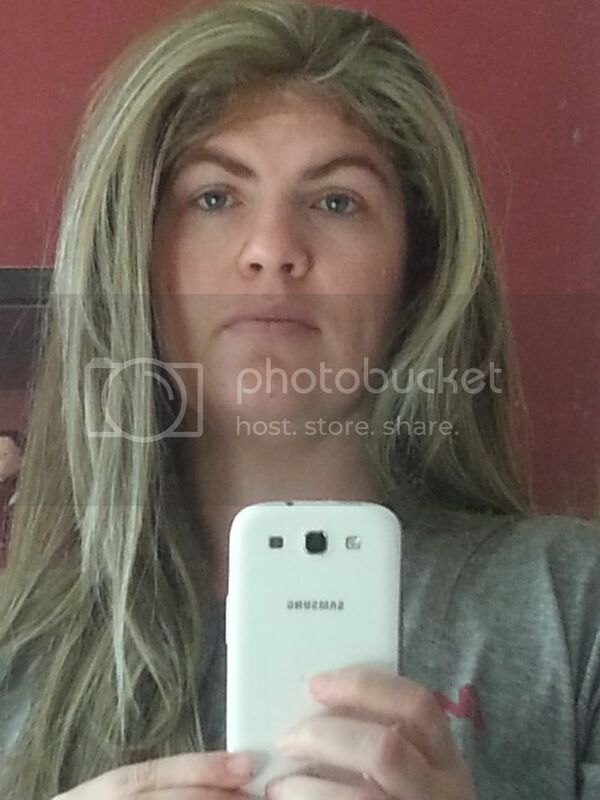 I have bought a wig in that undefinable colour range of dark blonde/light Brown/greyish. 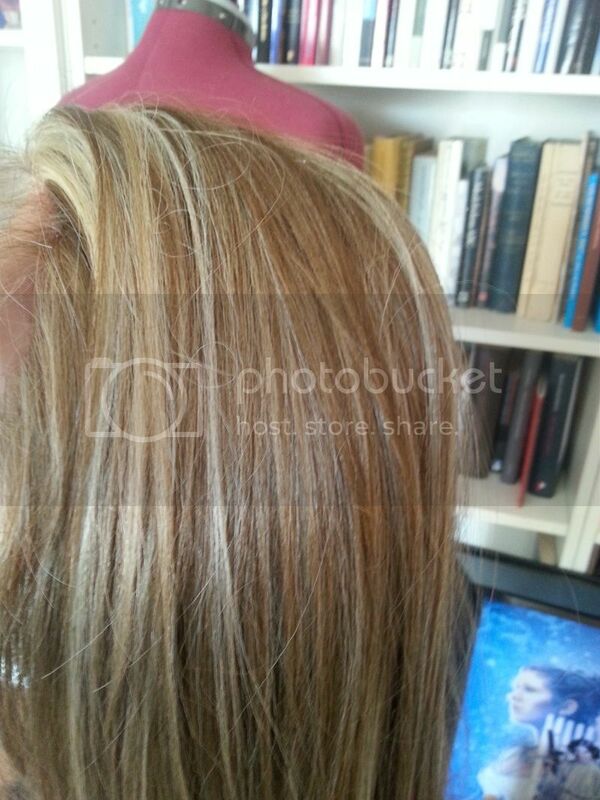 Here is a closer view of the back, so that you can see the colours better. I really don't like working with hair and wigs, but I will have to take some time and practice before I get something that looks like the hairstyle. I'm also thinking about adding some loose hair for the roll, and in that case I would like it to be a bit darker/browner. Looks like a simple costume, after all the other stuff you've done. Good luck! 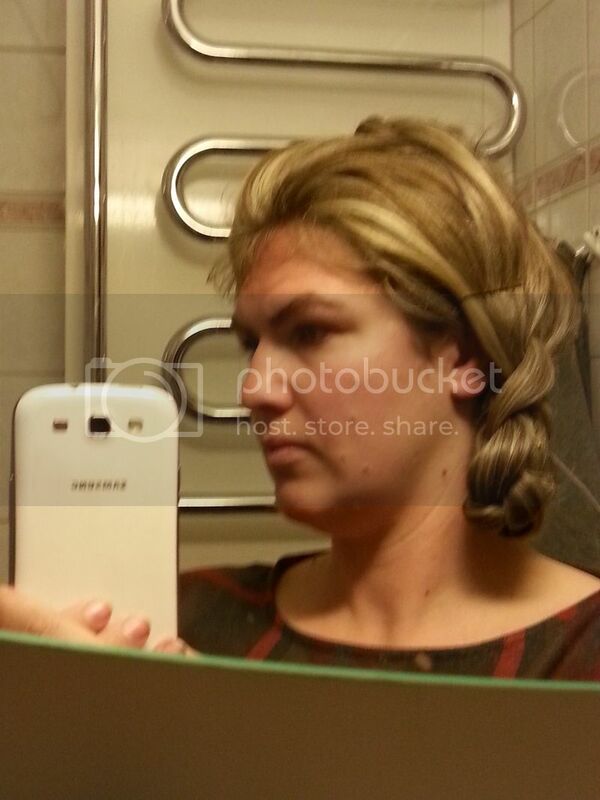 Today I've played around with the wig, and I think I have the general shape of the hairstyle done. As I see it it consists of three parts. First there is a braid, or maybe a twist, that goes from the left ear and over to the other side. 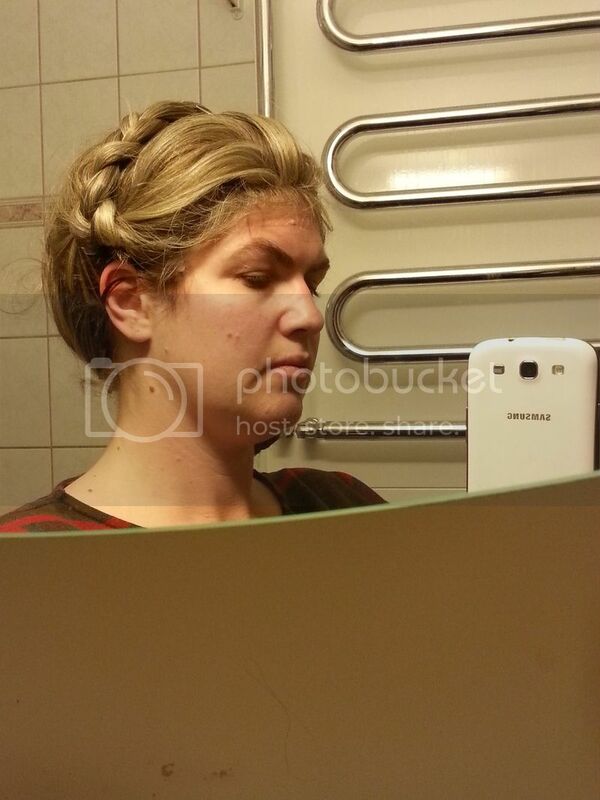 Then there is a thicker braid at the left, and what's left of the hair is twisted up in a bun at the top back of the head. Ignore all the ¨visible pins and stray hair, and the visible lace, as I said now I need to practice to make it look good. "practice to make it look good" pfft! It looks super nice already! Terrible light, but I made the jumpsuit over the weekend. I've started the total remake of this costume, hoping to have it done in time for, and even get it approved, Before Celebration Europe. I started with cutting up the grey jumpsuit so that I could use it as a pattern, after all I had done all the tweaks to it already. That meant that the new jumpsuit went together quite easily. There are details that had to be added compared to my first version though. 1. The jumpsuit has a yoke. I chose to construct the collar in one with the yoke to avoid visible seams. It's been hard to find a fabric, and I'm still not happy about this choice so I will look for fabric for a third version. 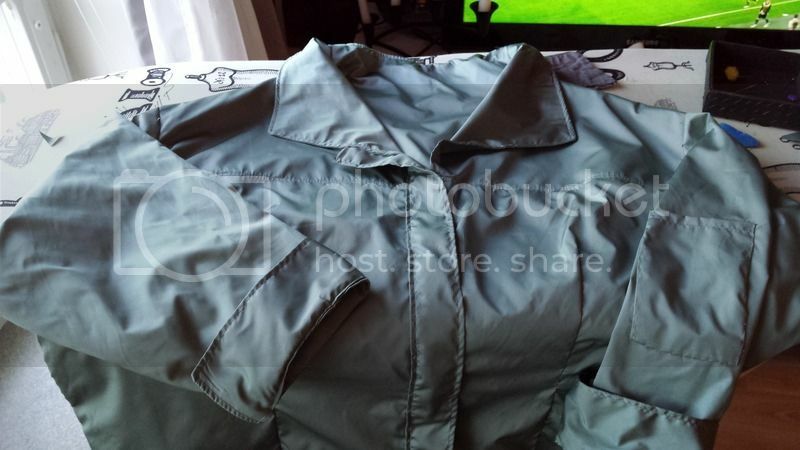 The colour of it is perfect though, it's a light sage green, but depending on light it appears both as grey and as green. The downside is that it's a fabric that should be used for jackets and is a plastic coated synthethic fibre. I'm going to be water- and windproof, but also very hot and I can't sneak up on anyone since it's quite noisy.